On Monday, we are leaving for Thailand, so I thought I'd give an overview of it's history, environment and culture. The furthest back history recorded is 4000 B.C. Scientists found pottery and metal work from that time. In the first millennium A.D., there was the arrival of the Thai people. Then, 283 years later, written Thai language was invented. Much later, during 1850-1874, Western influence increased and slavery was abolished. Later, in 1973, Thailand switched to democracy, but in 1997-2006 the country was in turmoil. Thailand also has a very rich environment. 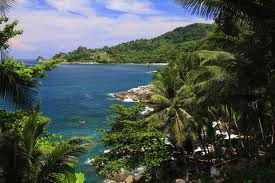 It has many rain forests which are full of birds and monkeys. There are also 7 types of venomous snakes living throughout Thailand. 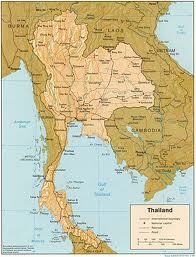 Thailand, which some think is shaped like an elephant, has 3 seasons: a hot season, a dry season, and a cold season. During the cold season, there is sometimes even ice. One of the ways Thailand is very different than America is their culture. Their manners are very different. You can eat as soon as you are served with a spoon fork or chop sticks. Your bottom half is considered dirty especially your feet. Because of this, things touching the bottom half must be kept separate. Monks can not touch women in any way, so if a woman even wants to give a monk something, they have to pass it through some one else. The people of Thailand also greatly respect their king and expect the same from you so be careful. Hopefully that will give you and idea about where we are going.